Sonali Bendre is battling a high-grade cancer, about which she revealed on social media last month. Her close friend Omung Kumar, who was her former co-judge at the reality TV show India’s Best Dramebaaz believes that she is a strong person and a fighter. The actress was diagnosed with the cancer while she was still judging the reality show on Zee TV. She had to leave the show in between as she went to New York for her treatment. She was replaced by Huma Qureshi, who sits in the judge panel with Vivek Oberoi. Omung, who judged a few episodes of the show with Sonali, said her presence on the set used to create a beautiful atmosphere. “Sonali is a mother figure. She is a calm and composed person, so while judging the show, she knew better than me and Vivek about how to deal with the kids. In the words of my favourite author Isabel Allende, “We don’t even know how strong we are until we are forced to bring that hidden strength forward. In times of tragedy, of war, of necessity, people do amazing things. The human capacity for survival and renewal is awesome.” The outpouring of love I’ve received in the last few days has been so overwhelming… and I’m especially grateful to those of you who shared stories of your experiences in dealing with cancer, whether it was your own or of loved ones. Your stories have given me an extra dosage of strength and courage, and more importantly, the knowledge that I’m not alone. Each day comes with its own challenges and victories and so for now, I’m taking this #OneDayAtATime. The only thing I’m trying to be consistent about is maintaining a positive outlook… literally #SwitchOnTheSunshine – it’s my way of dealing with this. Sharing my journey is also part of this process… I can only hope it reminds you that all is not lost and that someone, somewhere understands what you’re going through. ?? Thank you @tomoarakawa for making this a chic transition from long to short! “She and I used to discuss our issues on the set. We had a lot of fun. As a judge, as she is a mother herself, she knew the best when to behave strictly with the kids and when to have fun,” added the “Mary Kom” director. 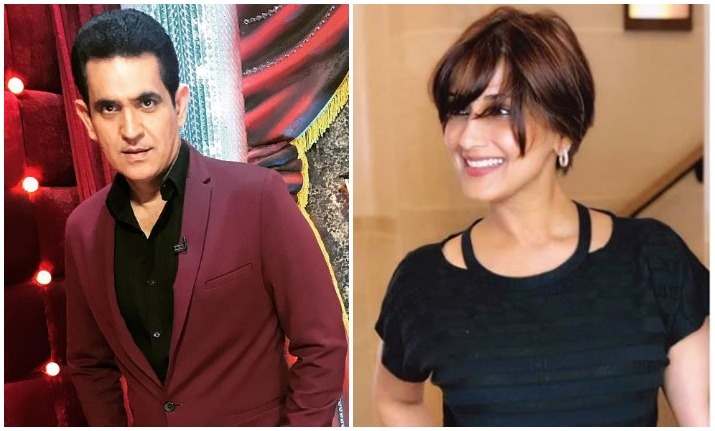 Breaking the news on social media, Sonali Bendre wrote, “Sometimes, when you least expect it, life throws you a curveball. I have recently been diagnosed with a high grade cancer that has metastised, which we frankly did not see coming. A niggling pain led to some tests, which led to this unexpected diagnosis. My family and close friends have rallied around me, providing the best support system that anyone can ask for. I am very blessed and thankful for each of them. There is no better way to tackle this, than to take swift and immediate action. And so, as advised by my doctors, I am currently undergoing a course of treatment in New York. We remain optimistic and I am determined to fight every step of the way. What has helped has been the immense outpouring of love and support I’ve received over the past few days, for which I am very grateful.